​we all deserve to have a decent life. We envision a world in which every person has a decent place to live. Habitat for Humanity International builds in 70 countries and has helped 9.8 million people become homeowners. To support access to affordable housing abroad, our Iowa Valley affiliate has donated more than $370,000 to Habitat for Humanity International's global building efforts and has helped sponsor housing solutions for more than 120 households. 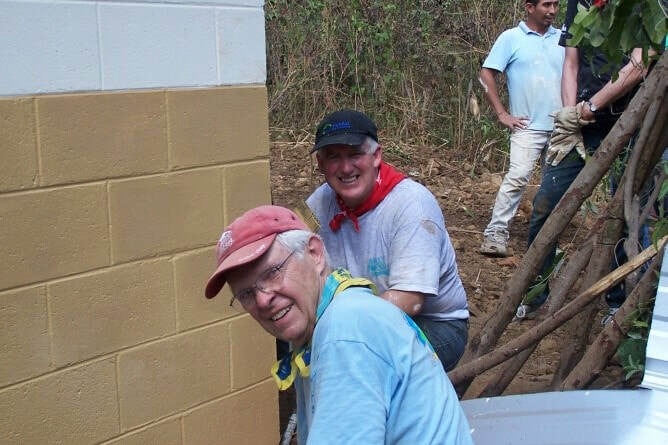 ​Additionally, each year we help organize a team of dedicated volunteers who travel to build in neighboring countries. In 2019, our trekkers set out on a Global Village trip to The Dominican Republic. I go on these [Global Village] trips to honor my mother, who was a caring and generous woman. She always worked hard to provide me with a safe and secure home environment." ​I become culturally enriched and deeply rewarded by serving side by side with people of other cultures who are in need of housing and doing this work with a team of people who share this same passion." It’s like the starfish story, we may not make a big dent in the global housing crisis, but for the families we do work with, because they have a safe, decent, affordable home, the difference is enormous."